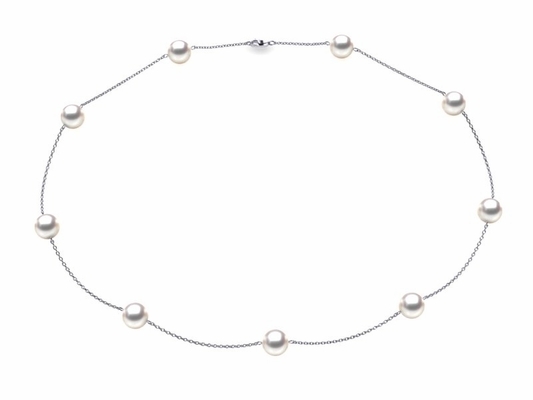 If you're in the market for a dainty, delicate alternative to the typical pearl necklace, you might love these pretty little pearl strands from American Pearl. 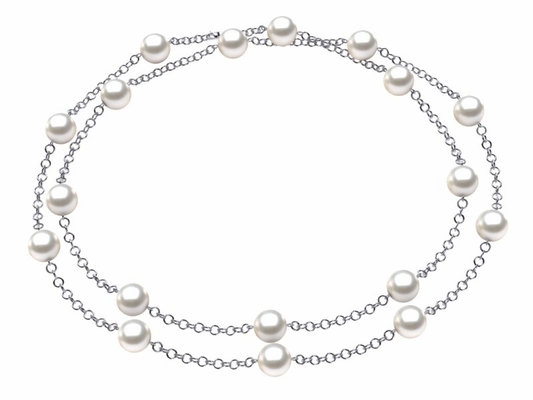 Dubbed the "tin cup" pearl necklace, this unique option was made famous by the one worn by leading lady Rene Russo in the 1996 romantic comedy "Tin Cup." 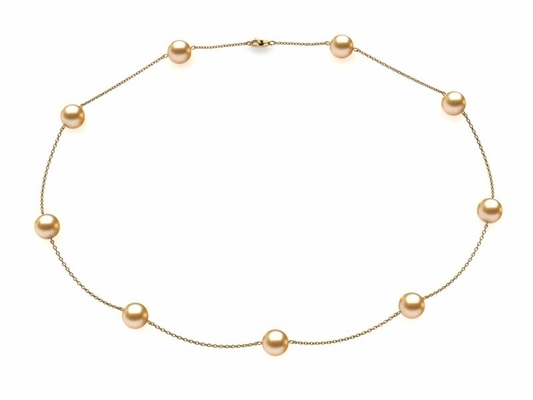 Like the one showcased by Russo in the film, each tin cup necklace from American Pearl features widely-spaced pearls strung on chains made from your choice of 14-karat yellow or white gold. 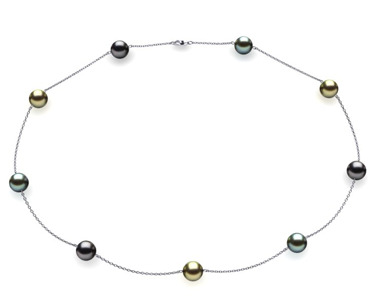 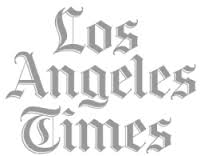 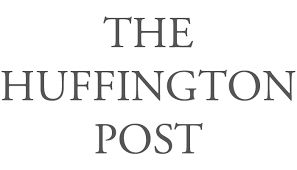 Complete yours with Akoya pearls, Tahitian pearls or South Sea pearls. 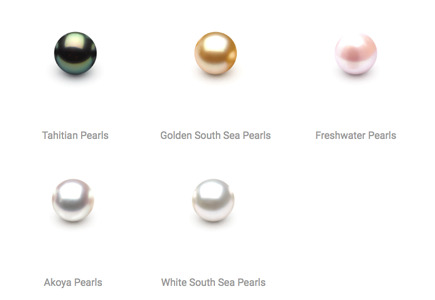 Create your own tin cup pearl necklace or choose a beautiful, classic style by shopping at American Pearl. 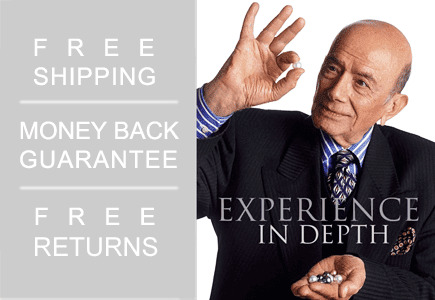 Our extensive selection of top-quality pearls ensures that you going to get a tin cup necklace that you adore �without spending a ton . 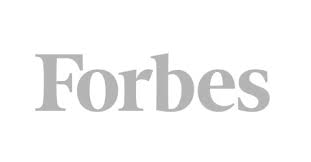 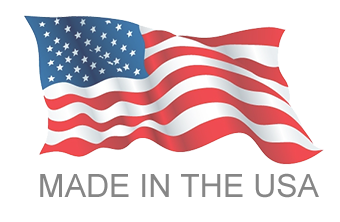 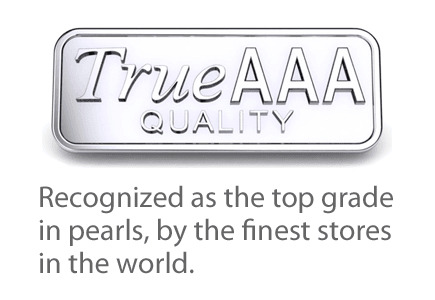 American Pearl works directly with distributors, and although we have a showroom in New York City's Diamond District, we don't have the overhead that many retailers do. 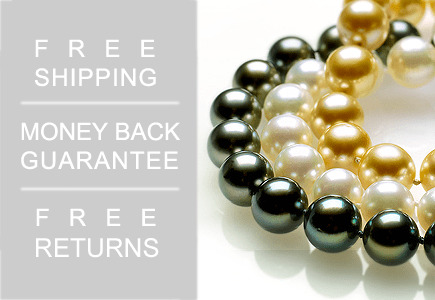 T hat means more money left in your pocket when you buy a gorgeous tin cup pearl necklace from us!